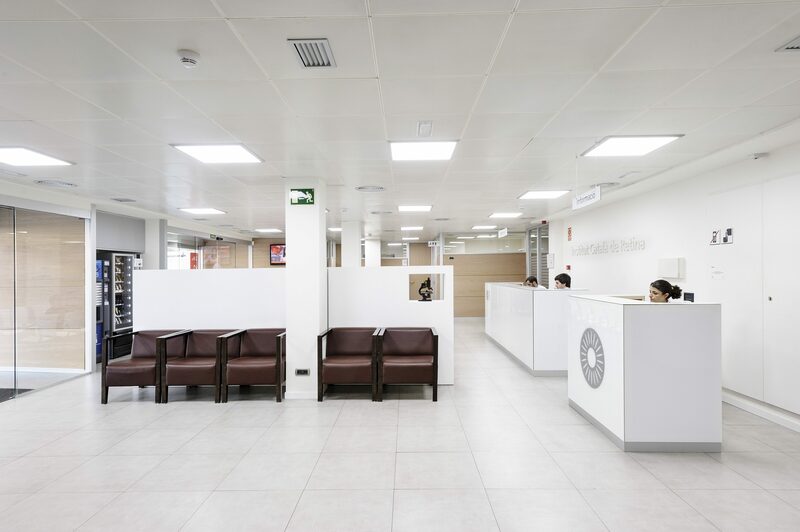 Founded on 28 May of the year 1986 by Doctor Ramón Martí i Bonet, L’institut Català de Retina is a medical and surgical ophthalmology center that aims at the prevention, diagnosis, treatment and control of diseases of the eye and the visual system of the ocular adnexa. Since its inception, the Institute has based on four basic pillars: care, surgery, teaching and research. The ICR provides in their centers a quality care and personalized. We provide a comprehensive service that goes from the consultations, up to the surgical interventions, passing by the treatments of all the specialties and the ophthalmic emergency service. 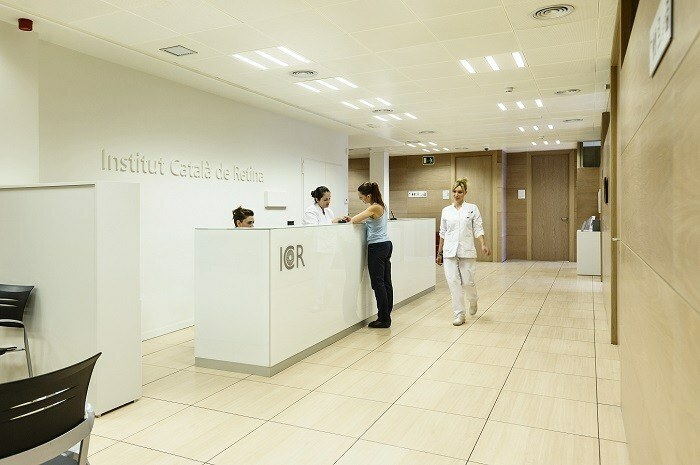 The Institut Català de Retina is an ophthalmology center of reference, both at national and international level. It has all the latest technological advances, both for diagnostic tests, lasers, such as for surgical procedures and therapeutic. The medical team, setting 85 ophthalmologists, is structured in various subspecialties, represented by the corresponding departments and units. The ICR has a team of professionals of recognized prestige with a wide experience and able to cater for the more complex cases. 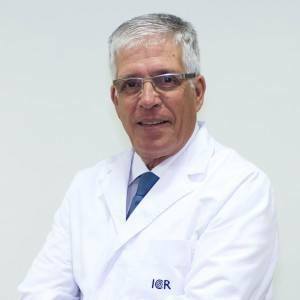 More than 250 professionals who form the group ICR, have achieved that the ICR is a pioneering organization in the field of the ophthalmology and recognized prestige in the ambience of the health. The personalized dealing is prioritized at all times, and the welfare team is qualified to attend the patients with the language that they wish. In order to be able to respond and be connected to our patients, they are where they are, we have adapted our website in six languages, as well as channels in social networks. 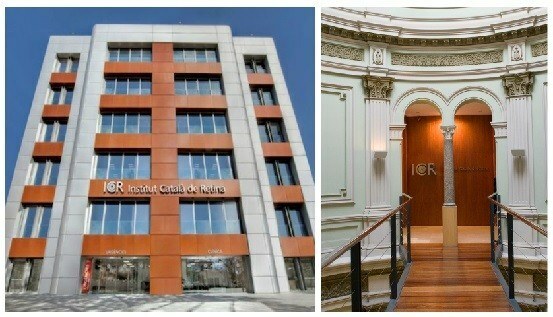 The ICR headquarters are situated in Ganduxer nº 117 de Barcelona. It is the Centre of reference of all delegations and has 31 consultation in ophthalmology, optometry-14 and 4 exclusive consultations of emergency spread over five floors. We also carry out activity ophthalmologists in the ICR Terrassa, located in the street carrer del Nord nº 77. 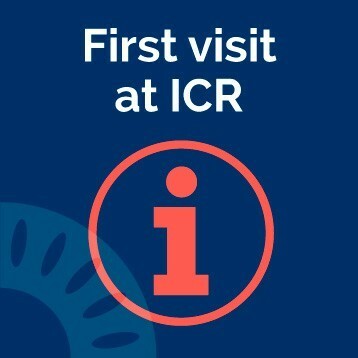 The ICR has been consolidated as a reference centre in Barcelona in ophthalmic emergency. 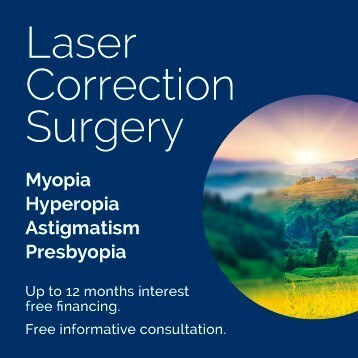 This service has been since its inception the trust of our patients and ophthalmologists from around. The Emergency Department has four simultaneous consultations, intended exclusively to attend ophthalmic emergency 24 hours 365 days a year, and always has the physical presence of an ophthalmologist and surgeon available. The Emergency Department is located on the ground floor of the building of Ganduxer, 117, and the facilities have all the necessary equipment for correct urgent attention. On the other hand, we must not forget the field of research, clinical care and Foundation of scientific rigour. In this sense, the ICR is one of the few centers accredited by the prestigious European Vision Institute (EVI) to conduct international clinical research studies. The research capacity of the Institut guarantees, promotes and facilitates the research of highest quality and rigour in the field of ophthalmology. The medicine is a science changing and that is constantly evolving. It is for this reason that lifelong learning is essential. Teaching is a key element with long tradition in the ICR. Proof of this is the extensive calendar of clinical sessions scheduled as well as the weekly monographic meetings of each department.. In addition, it has been consolidated masters programs ophthalmologic surgical, the training of resident doctors and the teaching of future physicians in the Faculty of Medicine of the International University of Catalunya. 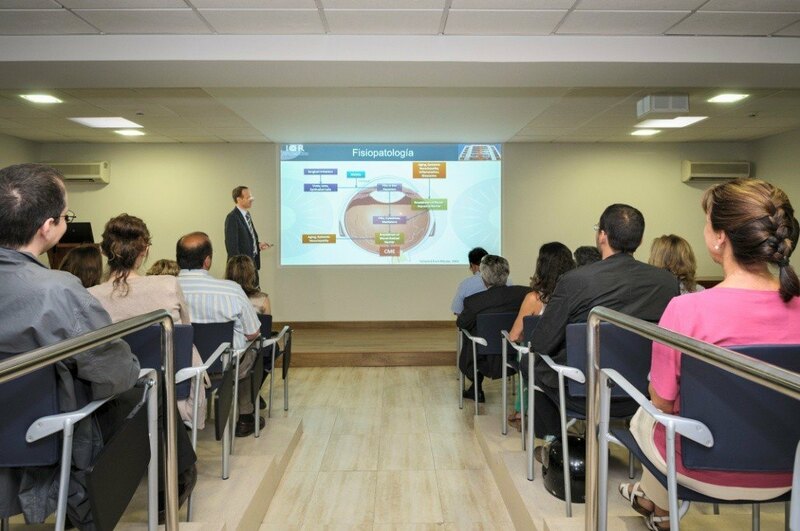 From its creation, the Institut Català de Retina has been very active in the organization of congresses. In addition, our ophthalmologists regularly participate in national and international congresses organized by different ophthalmologic societies. The number of publications, presentations and papers from our doctors is also very significant. We emphasize the implementation of the ISO policy within the quality policy of the ICR group. The commitment of our Organization towards the quality of care is based on five axes: orientation to the patient, the permanent updating of medical expertise, offer comprehensive ophthalmology services, the maximum coverage and professional and business ethics..
Els més de 25 anys d’experiència, han situat a l’Institut Català de Retina, a dia d’avui, entre els centres oftalmològics més destacats d’Europa.